Innovation, expertise and decades of effort on behalf of imperiled species highlight the accomplishments of two Midwest biologists named by the U.S. Fish and Wildlife Service as 2016 Endangered Species Recovery Champions. The Midwest champions are among 31 individuals and teams across the United States named by the U.S. Fish and Wildlife Service for their work with endangered and threatened species. 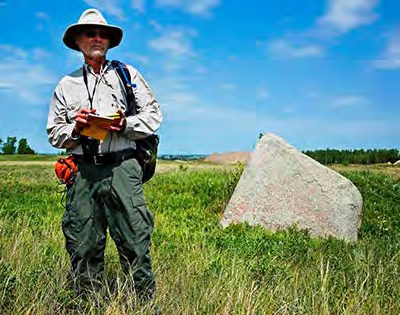 Dr. Robert Dana, a biologist with the Minnesota Department of Natural Resources, was honored for his more than 40 years of work and vast knowledge of butterflies, especially the threatened Dakota skipper and the endangered Poweshiek skipperling, two prairie butterflies. Dana is currently working with the Service, the Minnesota Zoo and The Nature Conservancy to reintroduce Dakota skippers in southwestern Minnesota. He is also working to prevent extinction of the Poweshiek skipperling, a highly imperiled species which may already be gone from Minnesota.Dana has played an integral role in establishing captive rearing programs for both species. 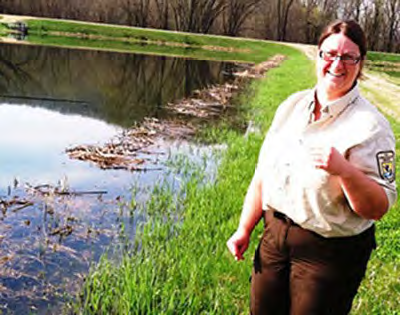 The Service also recognized Angela Dagendesh, assistant project leader at Genoa National Fish Hatchery in Wisconsin, for her work to recover the Hine’s emerald dragonfly. These dragonflies overwinter in crayfish burrows during their life cycle; Dagendesh designed a system to rear Hine’s emerald dragonflies at the hatchery that mimics the living conditions found in the wild. “Angela’s work is moving the needle toward recovery for the Hine’s emerald dragonfly,” Melius said. “Thanks in great part to her efforts, we have been able to improve our program and shorten the time it takes to produce adult dragonflies. This is very exciting for recovery of this species.” Dagendesh was noted for working closely with partners, including the Chicago Field Museum and the University of South Dakota, to share resources and technology and to reach out to the public about the Hine’s emerald dragonfly.